Good day beautiful people, am sorry for not updating constantly,thanks for checking in.. Its my first dress up post yeah!!. Its simple,colourful and can be rocked with anything(jeans,leggings,short dress) have fun with an Ankara . 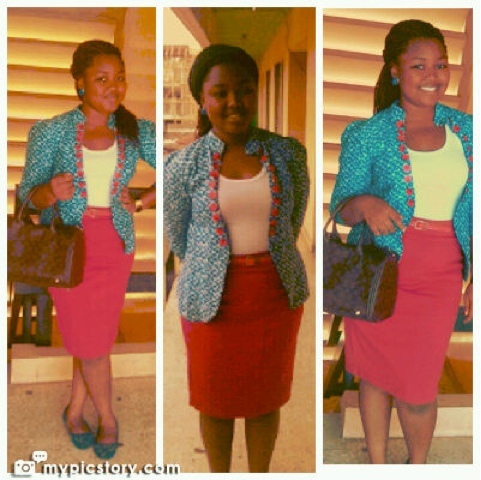 I simply chose a red skirt to match the red buttons on the blazer. Have fun with it.